Reason SEVEN – meeting Katharine Grubb, the one who started the group 10MinuteNovelist. Reason FIVE you should go to 10MinCon – Janice Hardy. 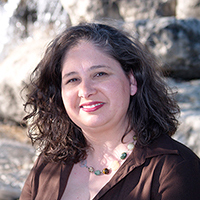 She will be speaking on PLANNING YOUR NOVEL IN TEN EASY STEPS. 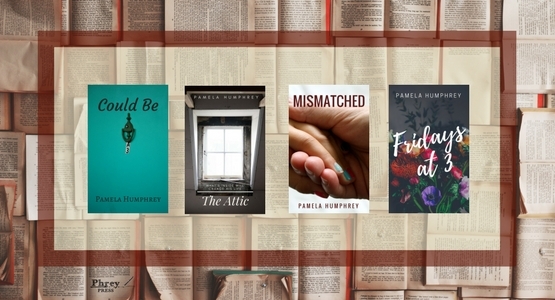 Who wouldn’t want 10 surefire steps to planning a bestseller? This alone is a VERY GOOD REASON. 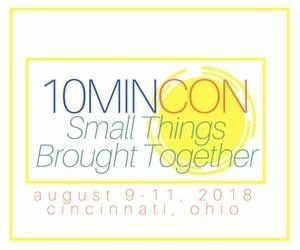 Reason FOUR you should go to 10MinCon – Spending three sessions hearing Donald Maass talk about FIRE IN FICTION. Discussing how to make a book great, he will lead a workshop, an intensive, hands-on workshop for advanced fiction writers. 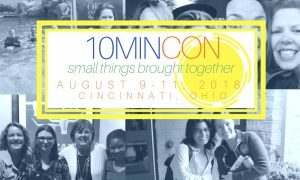 Reason THREE you should go to 10MinCon – Get to hear from professional editors, Sarah Wright and Rachelle M. N. Shaw, about how we can make those first pages stand out. 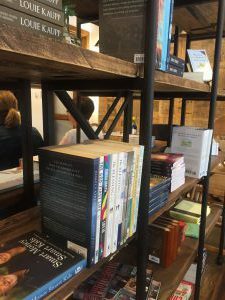 Reason TWO you should go to 10MinCon – Get to meet other writers and build those connections. Writing can be lonely. Come make friends. Reason number ONE you should go to 10MinCon – I’ll be there. It’s Tuesday. You know what that means? Tomorrow is Wednesday, AND it’s time for Reason SIX. Reason SIX you should go to 10MinCon … Getting to hear from James Scott Bell. James will be giving the keynote address on Thursday, August 9. Here’s a blog post that talks more about Mr. Bell. Tick tock! July 15th is the deadline to register. Check out 10MinCon for more info! I know y’all have just been holding your breath, waiting for the next reason. Just to add a bit more anticipation, let’s recap. Tempting, isn’t it? The deadline is approaching! Check out 10MinCon for more info! Saturday morning, the sky was gray. It was too warm for November, and misty rain hung in the air, frizzing hair and adding a heaviness to the already gloomy day. Once I wrangled myself out of bed, I texted a friend. We met up and spent the day shopping. 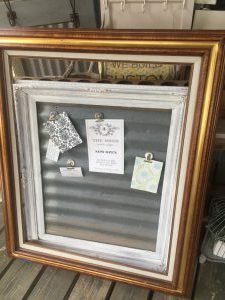 We started at the Boerne Homemade Market, and she showed some great places in Boerne: Vintage on Main, Cielo, and The Dienger. In one of the shops was a small bag that said “Sometimes you have to make your own sunshine.” I think that perfectly summed up the day. I bought a few things. 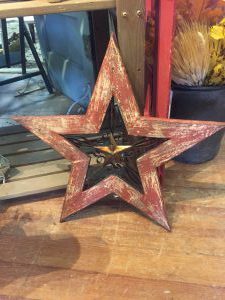 The star looks great above my fireplace, and that framed tin will be a fun addition to my craft room. By the afternoon, we saw glimpses of the sun, and the rain moved on. That night, my sweetheart and I went dancing. It was an all-around great day. Y’all, there is so much to be said for making your own sunshine. Grab a friend and find a place you love. 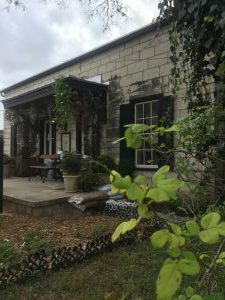 San Antonio is full of wonderful spaces to enjoy. Or, if your friend is busy, grab a book. I can give you a few suggestions. Finding Claire, a romantic suspense novel set in the Texas Hill Country, is the first book in the Hill Country Secrets series. Below, I’ve included the first two chapters. 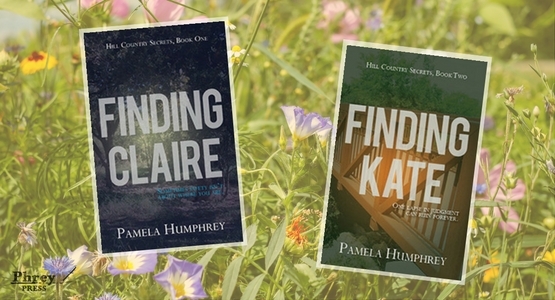 Finding Kate, book two in the series, picks up on the same day that Finding Claire ended. The night I woke up in the back of a van with my hands bound, my whole world changed. It was a Friday. I opened my eyes and fought to remember how I ended up in a dark, moving vehicle. As if rising from the depths of a deep lake, I struggled, desperate for a glimpse of the familiar. Rope burned my wrists. I didn’t have the presence of mind or the courage to formulate an escape. Panic rendered me useless as someone drove me to the middle of nowhere. The kidnappers’ most helpful accomplice, my own fear, held me prisoner. The worst part of it all, my mind hid memories from me. I didn’t even know my own name. A greasy, foul-smelling man marched me into a dark house. Images of how I’d be killed flashed through my mind when he shoved me into a putrid closet. Another man did his bidding, and talked incessantly. 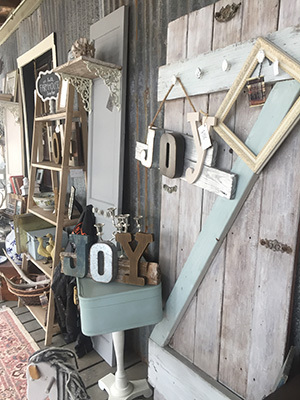 More than a day, being fed nothing but bologna sandwiches, I wallowed in that tiny space. I stumbled through the brush, ever conscious of the darkness pressing in on me. The flashlight did little to hold it off. With my hands tied together, I slugged through the night, fighting to stay on my feet. The circle of light jostled as I moved. I tripped on fallen limbs as noises spurred me on faster. I tumbled, and my knees connected with a large rock, half-buried in the ground. My hands in front of me, I caught my fall. But my palm oozed blood where something sharp tore through my flesh. Exhausted, I pulled cold, wet air into my lungs and struggled to my feet. The heavy mist plastered my clothes to my skin. But the wet ground absorbed the pounding of my footsteps, keeping the sound from echoing through the night. Progress was impossible to measure in the grey haze. Everything my light touched looked the same. I prayed I wouldn’t circle back to the house I’d left. I pushed between juniper bushes, wincing as the evergreen branches scratched at my cheeks. As I cleared the trees, breath caught in my throat. I approached it slowly, making sure it wasn’t the same one I’d just left. I picked my steps through the underbrush, then hurried up the three porch steps. I knocked, over and over, louder and louder. All my pleading accomplished nothing. I walked around the outside hoping for a glimmer of light in a window. But silence and darkness encased the house. Tears stung my scratches as I continued my search for help. Drips ran down my hand, leaving a trail of blood as I stumbled through the trees. The clouds above still clung to their rain. The smell of moist earth permeated the air. I glanced up and wished for a just a glimpse of the moon or stars. The darkness taunted me, mocking the fact that I was alone. I clung to the flashlight as I zigzagged around a prickly pear cactus. The ones I didn’t see left their marks on my legs. Tears filled my eyes, blurring my surroundings. I yelped as I snagged a barbed wire fence. The echo cackled as it scurried through the trees. Leaves rustled nearby. I froze. The sense of something closing in tightened in my chest. The screech of the owl sent terror pulsing through me. I pulled away from the wires, and my clothes tore. The whimper of an animal faded into the distance. I tried to forget that the blood and shreds would be easily visible in the daylight. I stared at the fence, desperately pleading for a way through. I tamped down the bottom wires with my foot and tried ducking under the other wires, but it didn’t work. Finally, I dropped face first to the ground and slithered under the bottom wire. I swallowed my cry as the barbs scraped my back. I pushed forward, my heart wanting to run, my feet hindered by limbs and rocks. I glanced behind me into the darkness, sure the men were in pursuit, following the sound of my pain. Shivering, I stopped to catch my breath. Wisps of white appeared in front of me each time I released my hot breath into the night. Something near me hit the ground. I whipped around, bumping the switch on the flashlight. I was plunged into a vat of ink. A snapping sound carried through the air. I looked back expecting lights bouncing through the trees. Feeling around the flashlight, I found the switch. When the light clicked on, the shadows returned, my welcome companions. The underbrush slowed my progress as I hiked away from captivity. Somewhere in the night safety called to me, like Heathcliff on the moors. I’m hearing things. I walked a bit farther and stopped. I heard it again. Laughter. I turned my head and waited for the sound to return. Pushed down by the damp air, it couldn’t have carried far. I tightened my grip on the flashlight and turned it off. Suffocated by the darkness, I scanned around me for light, any glimmer. The wind blew, and for a moment, light appeared far off somewhere ahead. I hit the switch and surveyed to see what shielded the glow I’d seen. More juniper bushes. Their scent, pleasant only in small doses, clung to my clothes and hair like cheap cologne on an urban cowboy. I shoved my way through the bushes, unsure of what lay on the other side, the light beckoning me forward. A house. My next step sent me skidding down. I bounced down the rocky incline on my hip, my tied hands useless to stop me. When I hit the bottom, my hip burned, and my head ached. I crawled to a nearby boulder and used it to help me up. My legs were gelatin. When I stood, blood trickled down my face. I limped toward the house, anticipating freedom from the rope and safety from the kidnappers. The sounds from before, clearer now, raucous laughter and men’s voices, rang out from the haven in front of me. I hurried my pace. Closer, I smelled food. My mouth salivated. A crunching sound beneath my foot stopped me cold. I pointed the flashlight down. Beer cans carpeted the ground. I darted, still limping, toward the trees before my legs gave out. The hope of safety torn away left a gaping hole in my chest. The light and sounds, so welcoming at first, mocked my fear. The front door opened, illuminating me. Not yet to the trees, I kept moving but switched off the flashlight. A man stepped out the door. His pee splashed on the leaves, and I prayed he wouldn’t see me. As I neared bushes, he shrieked, but I didn’t stop until I was hidden. “What’s wrong, Gil?” A man called from inside the house. The s sliding into the word beside it. Their conversation devolved into yelling, and then someone threw a punch. What wasn’t safe before became outright dangerous. I pressed on, disappointment pouring out of my eyes. Blood, clothing, and now an eyewitness. So much for leave no trace. If I didn’t find help before the sun crested the horizon, I’d be eating a bologna and mayo sandwich for breakfast again. My stomach wretched at the thought. My hair snagged on a mangled branch, and I ducked to keep my eyes from being punctured. The circle of light just ahead of me, fear nipped at my heels. I had to keep moving. Beyond the beam, a shroud of darkness made it impossible to see if I’d walked in circles. Desperation disguised as hope propelled me forward, trusting that the lack of familiar sights meant I’d pushed farther away from the closet. I skirted around yet another stand of juniper bushes. My sobs escaped into the night before I could catch them. The whoosh of fluttering birds, disrupted from their roosting, echoed around me. A solid rock wall blocked my path, the side of a hill sheared off, leaving the white rocky insides exposed. It was too steep to climb. I stumbled to a large rock and crumpled into a heap. Blood dripped from my gashes and scratches, dotting the limestone, leaving yet another marker along my trail. I pointed the flashlight to the right. The stone continued farther than the light could reach. The other direction, the rock sloped into weeds and bushes several yards away. Mustering the last remnants of strength from my tired muscles, I pushed myself off the rock and trudged to the left. I inched my way up a small incline. Exhausted, I sprawled on the damp ground. Cold and sore, I ached to be inside somewhere, to be safe and protected. The chill of the wet earth permeated the skin on my cheek. My eyelids begged to close, the temptation to sleep growing stronger every second I spent on the ground. The sky opened up and thundering raindrops pounded me. The rain urged me to continue, promising to wash away my tracks. I lifted my head. A cabin. Just a few paces ahead, a cabin sat nestled in the trees. Firelight flickered in the windows. Adrenaline coursed through me. I struggled to my feet. The lure of safety pulled me forward, my footsteps nearly silent on the soggy ground. A cat jumped onto the window sill. My heart raced. I dragged my tired body to the door. 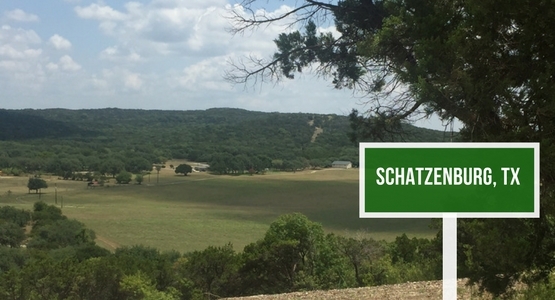 For me, there is something captivating about the landscape of the Texas Hill Country. The lush greens and vivid colors contrasted against the sharp edges and cold grey of the limestone make for a rugged yet beautiful place. It was this place that inspired the first ideas of Finding Claire and the series. As a kid, I remember watching Mr. Rogers when they’d focus on the picture frame and we’d be transported into the land of make-believe. The characters were familiar, but the story changed a little each time. Books are the lands of make-believe that we never out-grow. I’m working on a project that will give a better picture of Schatzenburg. 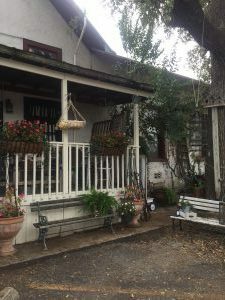 Until then, enjoy these tidbits about the community, the tiny make-believe town at the heart of the Hill Country Secrets series. Four buildings form the “downtown” of Schatzenburg. At the corner of Main and First sits the church, a bed & breakfast, a post office, and The Drugstore. Emotions swirled as Kent peeked over a newspaper, waiting for his twin brother, Brent, to pop the question. Kent had bought the ring and convinced his brother to woo Miranda—the love of Kent’s life. Brent reached across the table and clasped Miranda’s hand. The sensation of touch–and all the emotion it brought with it–flooded over Kent. Her brow pinched, and she straightened her shoulders as Brent slipped his hand in his jacket pocket while making declarations of love. Tiny frowns dangled at the edges of her smile. Her unhappiness stung. Kent grabbed his phone, awash in guilt for his selfishness. He tapped out a quick text to her: I think about you all the time. Will you give me another chance? She let go of Brent’s hand, looking at her phone. Her fingers danced on the screen. Her reply stunned him: I love you, Kent. Always. He slipped out of the restaurant as Brent flagged down the waiter, giving them time unobserved to break off the relationship. A block away, Kent ducked into the alley as Miranda hugged Brent. Kent felt it, but only for an instant. His back pressed against a building, eyes closed, he savored the lingering sensation, the last moment of feeling her arms around him. He loved her but only felt her when she touched his twin brother. Love meant sacrifice. Kent exchanged the feel of her for the look of love in her eyes. Being with her, making her happy, erasing the frown became his singular focus. He stayed where he was for several minutes, then felt lips pressed against his. Confusion mixed with jealousy. Why was she kissing Brent again? Kent opened his eyes, Miranda smiled at him, her lips hovering over his. “I can feel you.” His chest pounded. She tangled her fingers with his, and he stared at their joined hands. Brent shook his head as he walked up to them. “I think we’re destined to meet.” Brent winked. “Please tell me you only have one sister.” Kent pulled Miranda closer. They all shuddered and laughed.